Amanda first translated this most well-known of operas with Anthony Holden for David Freeman’s 1987 production at Opera North, though Graham Vick’s Birmingham Opera Company, then confusingly called English Touring Opera, gave its first performances on tour earlier that year. 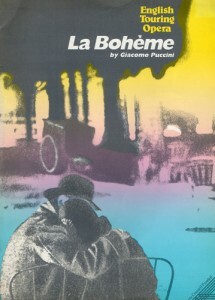 The translation subsequently had several outings; Amanda wrote an alternative version (with reduced chorus in acts II & III) for English Touring Opera in 1994. Amanda most recently overhauled the text substantially for the production by Jonathan Miller currently in the English National Opera repertoire and available on DVD. writing poems for pleasure.. .